Get ready to be carried away into the deep, filtered and discofied soundscape by Tim Andresen. 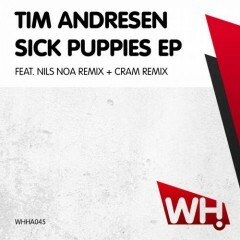 The title track Sick Puppies is a huge groover and the remixes come from Nils Noa and Cram. The second offering is called Gimme Some and not to be missed either.